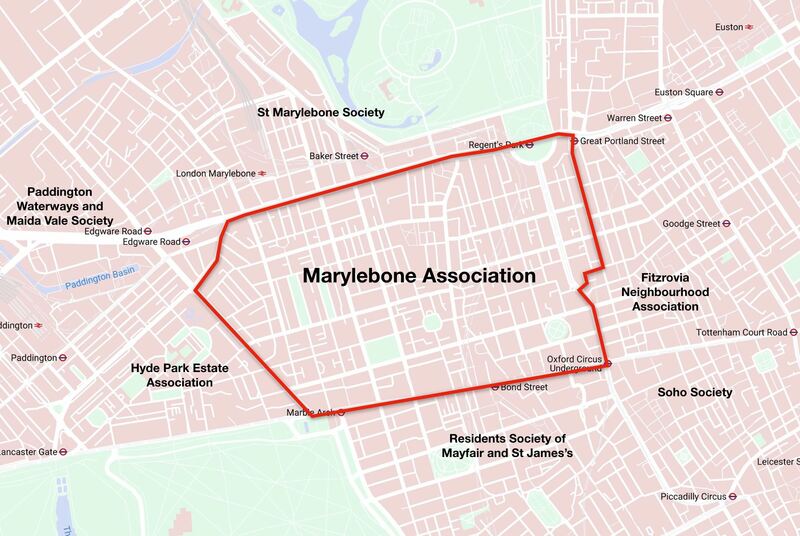 The Marylebone Association is a not for profit organisation staffed entirely by volunteers in their spare time. Our aim is to represent the interests of everyone in Marylebone who live and work in this very special area of London. We nurture, promote and support initiatives that add to the unique character and quality of life in our area. We want to see Marylebone thrive and develop as one of the most interesting and balanced urban environments in London. Residents - with the aim of maintaining and further developing civilised and harmonious living in Marylebone. Local Businesses - with the aim of promoting a vibrant and varied area of commerce and supporting the unique commercial and retail environment in Marylebone. Visitors - with the aim of welcoming and encouraging visitors to cherish and enjoy the special qualities that Marylebone has to offer. Consultation - As a statutory consultee, we work in close dialogue with the City of Westminster on matters of planning, licensing, traffic, city management, public realm and law-and-order. Events - We organise a wide range of cultural and social events for residents. Business Liaison - We liaise and encourage dialogue with local businesses helping them to flourish and prosper via business evenings, networking events and other promotional activities. Information Dissemination - We provide information on all aspects of living and working in Marylebone via this website, e-newsletters and social media.